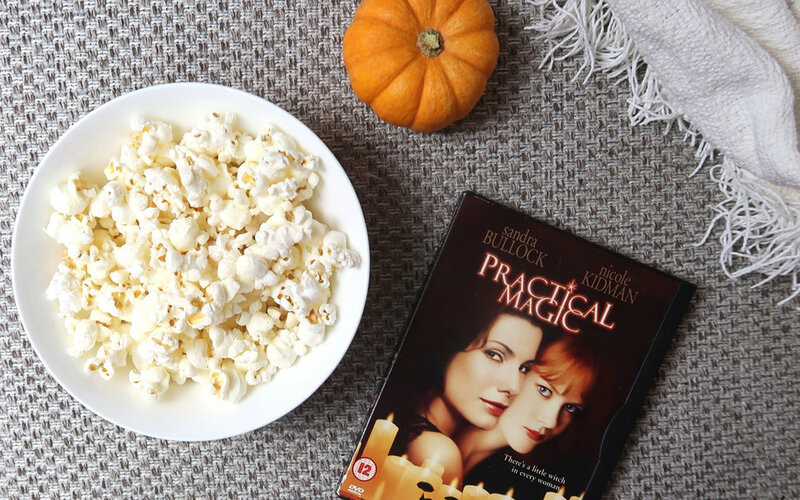 I recommend Practical Magic for some 90s feel-good nostalgia and banging soundtrack. The Addams Family is also a very good choice. These are just for decoration, but you need to set the spooky scene! It wouldn't be a Movie Night without it. Obviously don't skip the classics, but with more popcorn flavours available than ever before you can really mix this up. Loads and loads of them so you can get super snuggled up and cozy. These are the essentials but you totally don't have to stop there. Add a creepy cocktail to the mix, or compile a spooky soundtrack for when your guests arrive. You could even add a fancy dress element where you all dress to match the movie!